Inge Koppel is an expert in travel and tourism in Estonia and has been in the business since 1974. 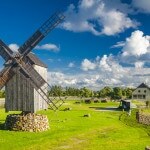 Here’s her story and some of her suggestions for visting Estonia! 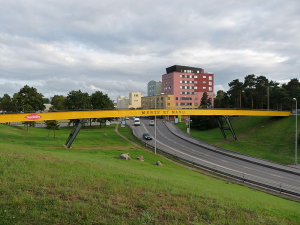 “Hello, My name is Inge Koppel and I am from the town of Tallinn, which also happens to be the capital of Estonia. I graduated from Tartu State University (founded in 1632) and spent my time there studying the English language and literature. 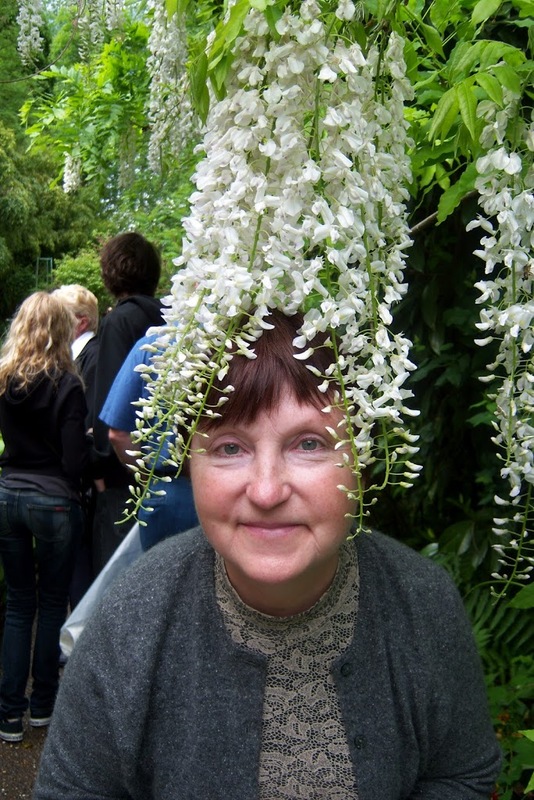 I have been active in Estonian travel and tourism since 1974 and love helping people visit my country! Early on in my childhood I already knew I lived in an interesting medieval town worth sharing and introducing to other people as well. 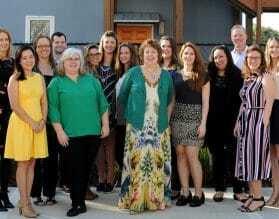 Of course, I knew nothing about running a business or being a travel agent then! 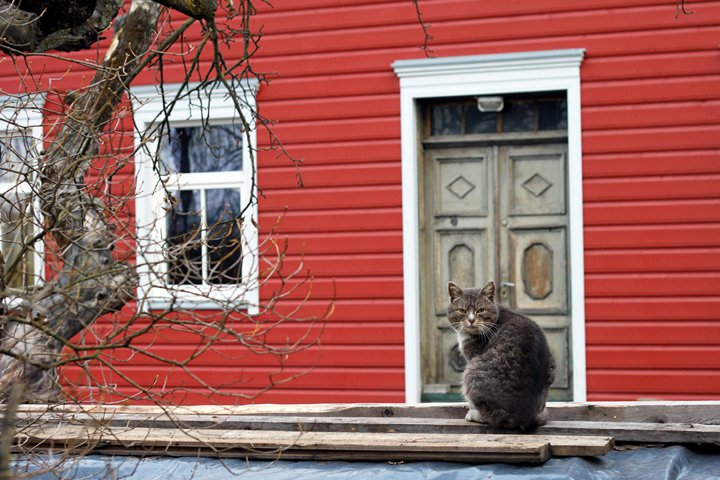 Travel wasn’t the most popular industry in Estonia, especially during the times of the Cold War, when a foreign tourist could hardly be seen in a western republic of the Soviet Union. Much has happened to Estonia since then. Today some 2.7 million foreign guests visit Tallinn annually, that is twice as much as the population of people living here in Estonia! Traveling in Tallinn provides a great experience as the city is in a constant contrast. The old parts of the city portray a charming and historically rich area that has the modern skyscrapers of the capital Tallinn as a background. The Old Town is lined with cobble stone streets that wind through medieval buildings, churches, and cafes that occupy spaces dating as far back as the 11th century! One of the highlights of Old Town is the Town Hall Square, otherwise called Raekoja Plats. 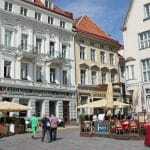 The square serves as the heart of Old Town, an area that has hosted social events and gatherings for 7 centuries. The Square is home to numerous outdoor cafes, and hosts summer concerts and fairs. During the winter the entire square becomes a picturesque Christmas Market; dressed up in holiday decorations, one couldn’t think Old Town could be any more charming. 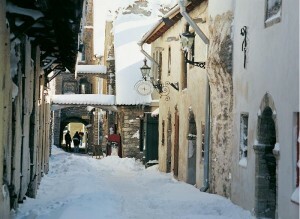 Once being a medieval trading town, Old Town features fortifications dating back to that era, and are very interesting to behold in addition to its buildings. 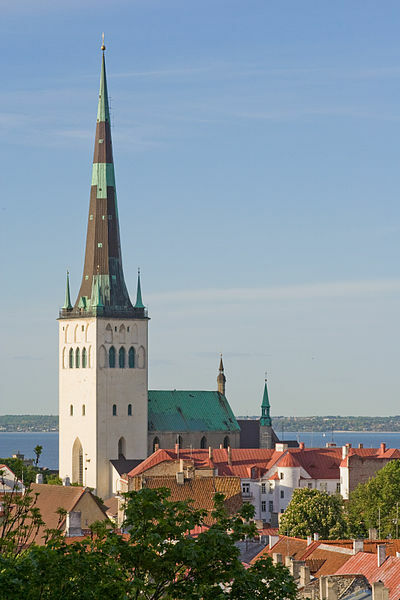 The city wall that surrounds Old Town, and features 26 watch towers, is meticulously preserved and provides visitors a walking route that exposes old Tallinn’s age and history. Another Tallinn landmark is St. Olaf’s Church. 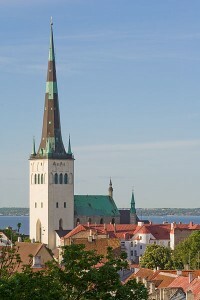 A Baptist church that features a panoramic view of Tallinn from its viewing platform, its main claim to fame is its spire. The Spire of St. Olaf’s Church is 159 meters tall and was once the tallest building in the world between the 15th and 16th century. The 159m tall church spire was the tallest structure in the world in the 15th century! 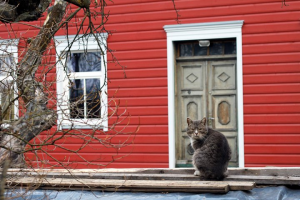 “Kalamaja literally means “fish house” in Estonian, and starting in the 14th century the area was traditionally dominated by fishermen, fishmongers, and boat wrights. Everything changed in 1870 though, when Tallinn was connected to St. Petersburg by railroad. Suddenly enormous factories started to sprout up in this part of town, and with them came an influx of thousands of new workers. 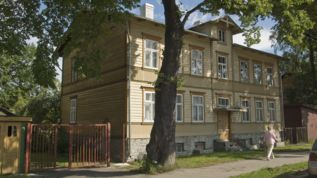 The wooden houses built to accomodate these workers became Kalamaja’s architectural legacy and are now what gives the neighborhood its unforgettable charm. 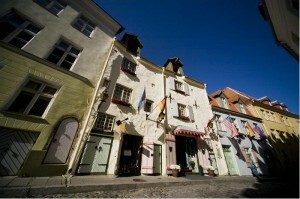 The most architecturally unique of these are now called Tallinn Houses. Built in the 1920’s and 30’s, these two to three story apartment homes are mode of two symmetrical wooden wings separated by a stone central staircase. There are about 500 of these in the city today. “Nõmme was founded by Nikolai von Glehn, the Owner of Jalgimae Manor, in 1878 as a summerhouse district. Nõmme’s development started around its main railway station, and in 1926 it was granted town rights. The area was later unified with Tallinn during the Soviet occupation of Estonia in the 1940’s and it remains part of Tallinnn today. The Nõmme Market is more than 100 years old, it was established around 1908, and the rights to run the market were personally approved by the Estonian governor of the time. In the Nõmme Market you can obtain all sorts of fresh foods year round, and a large part of the produce sold there orginates from local farms too. In spring and summer many seasonal flowers and plants for your garden are on sale as well! So if you find yourself in Inge’s neck of the woods be sure to check these places out! 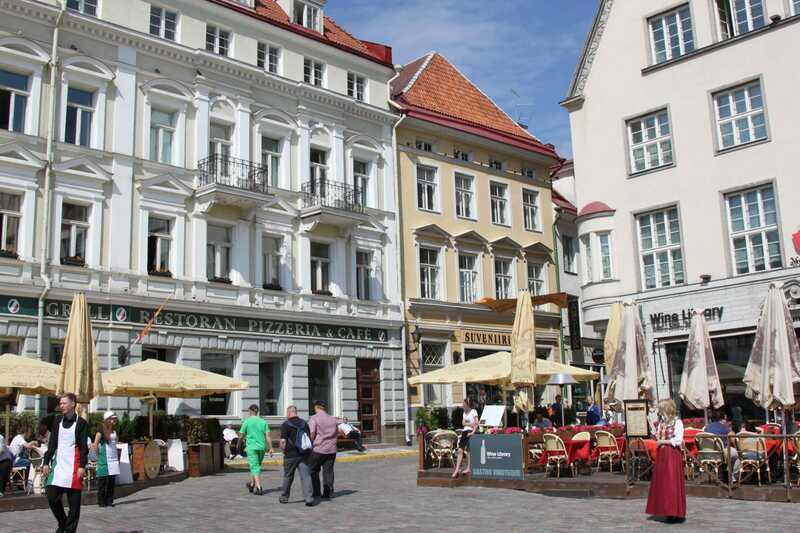 Tallinn is a great European city to explore, with a lot of old European charm and modern urban flair Estonia‘s capital has something for everyone! 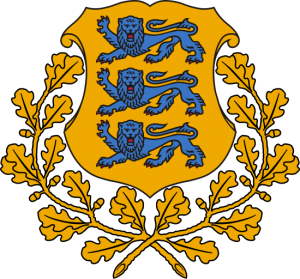 Click for more information about Exeter International trips to Estonia, and other areas in the Baltics.